If I’m ordered to take a safe driving course as a penalty for a traffic violation, what should I expect to have to do? When you’re pulled over for a traffic violation, whether guilty or not, you have two options—fight or comply with the consequences of the charge. However, before making the decision, it’s important to know what to expect either way. When you choose to fight the ticket (or arrest), you’ll need to prove your innocence in court. This means that you’ll need the help of an experienced traffic defense attorney. Thankfully, that help is easy to find in the Easley Law Firm. Darwyn Easley has the knowledge and drive to help you build a strong defense, no matter the charge. He’ll make sure that the court doesn’t take advantage of you or force you to adhere to exaggerated penalties. On the other hand, when you choose to accept the consequences of the violation, you may be subject to more than you bargained for. In most cases, when you are given a citation or ticket for a minor traffic violation (speeding, running a stop sign, broken headlight, etc. ), you’ll be required to pay a fine. However, if the charge is more serious (vehicular endangerment, DUI, incompetence, etc.) your penalty will be more severe. One such penalty that the court may delegate is requiring you to take a driving safety course. At your hearing, make your wishes known as to whether you’ll be fulfilling the course online or at a driving center. *Note: even though you can take the course online, you must take your final exam at an approved testing center. Choose the most convenient facility near you, within the state of Virginia. Enroll in an accredited course and complete the entirety of the driver improvement program. Once the online portion of the course is completed, go to your chosen approved testing facility and prepare to take your final exam. At the testing center, log in to your course profile and take your exam. You have the option of retaking your exam as many times as you need in order to pass. However, if you’re unable to pass on your first try, you must wait until the next day to retake it. Once you have successfully completed the course AND passed the final exam, you’ll receive your completion certificate. It is then your responsibility to send a verified copy of the certificate to the court by the deadline the court provided at your hearing. Contact the court a few days after sending in your certificate to make sure that your document was received and that your obligations are fulfilled to satisfy the violation charges. If you are facing a serious traffic violation charge and are unsure as to how to proceed, contact our office for more information. We're here to help! What happens when an undocumented immigrant is caught driving without a license? Can I be held liable for a traffic accident if my child was the one who was driving? Every teenager counts down the days until he can get his license and drive on his own. However, every parent dreads the day that his child is legally able to drive. The overwhelming fear that he could get hurt or hurt someone else is almost too much to handle. However, just as your parents and your parents’ parents got over it, you must as well. After all, he’s growing up and you have to teach him to be responsible for his actions. Unfortunately, although that sounds all well and good and may help you sleep at night, when it comes to teenage drivers, responsibility may still fall on your shoulders. In fact, your child’s mistake could land you in prison, trying to defend a crime you didn’t commit. Vicarious liability is a legal doctrine that was initially created to hold parents responsible for their underage children’s actions. Since children under the age of 18 weren’t considered legally competent, the consequences and financial responsibilities of their traffic tickets fell to their guardians. Today, as competency laws are becoming more and more lax, vicarious liability has also become less strict. However, there are still cases where teenage accidents can still be blamed on parents. This is why it is extremely important for you and your child to understand when, where, and how vicarious liability is determined. The teenage driver is liable. In most cases, when a teenager breaks the law or causes an accident, he will be ticketed or charged for his own actions (as long as he has a license and is deemed physically and mentally competent to be driving). In these cases, the teenager is responsible for any ramifications, including fines, lawsuits, etc. Parental liability. If the implicated teenager has had previous incidents of erratic, dangerous, or improper driving behavior (of which his parents are fully aware) and is allowed to drive by his parents anyway, they could be considered liable for his actions. Since they knew or should have known the child had a propensity for the behavior that caused the accident, then they are responsible for his actions as well. In addition, parents may be liable for other teenagers’ actions if they allowed drinking and driving on their property. If you find yourself being charged or sued because of vicarious liability laws, contact us today at 703-865-6610 for the advice you need to set up a defense. If I get into an accident with a vehicle driven by a teenager, will I be blamed because I’m a more experienced driver? When you’re involved in a traffic accident, no matter how big or small, a police officer is going to take statements and assign blame. In some cases, liability is clear cut, but when it comes to teenage drivers, police have been known to take it easy on the “new drivers” and point the finger at the more senior driver. After all, you have more experience and control so you should have been able to prevent the accident. Although you concede that you have more driving experience, does that also mean you should concede to take the blame? What if you see a teenager barreling toward you at high speeds? Do you let your family get hit, or take evasive action, even if it means breaking the law? Who is actually liable in situations like that, and how can you prove that inexperience is what caused the incident? According to a recent study conducted by the American Auto Association (AAA), teenagers have the highest crash rate of any group in the United States. As a result of inexperience, decreased attention spans, and their susceptibility to distractions, teenage drivers account for over 900,000 accidents every year. Although this statistic in itself is terrifying, it can be used to your advantage when defending your case. 15% of teenage accidents result from the driver interacting with one or more passengers. 12% can be blamed on cell phone use. 10% are caused by the driver looking at something in the vehicle, while 9% are caused by looking at something outside the vehicle. 8% are caused by singing, moving, or dancing to music. 6% can be blamed on drivers grooming themselves. 6% result from drivers taking their hands off the wheel to reach for an object. Any one of these distractions could have caused your accident, especially since there is documented proof that these types of accidents occur all the time with teenagers. Therefore, you can use this data to highlight teenage liability, as opposed to taking the blame because you’re an adult. 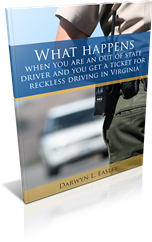 If you believe you have been charged or ticketed for an accident caused by a teenager, contact us today at 703-865-6610 to set up an appointment. Don’t allow age bias to jeopardize your driving record, or cost you hard-earned money. Contact us today and see how I can help secure justice for you and your family. What charges will I face if I get arrested for racing? Should I hire a lawyer for my aggressive driving charges? How can I secure police documents for my defense, under the Freedom of Information Act? When pursuing a traffic violation defense the more evidence and documentation you have of the incident, the stronger your case will be. Unfortunately, securing such documentation can be time consuming and difficult. After all, the arresting officer thinks you deserve the charge, why would he help you prove otherwise? Right to request, inspect, and receive copies of any and all public records. Right to request that any charges pertaining to these records be clarified in advance. This allows you to know exactly what you are charged with and exactly what documentation you will need to request. Right to file a petition in district or circuit court if you feel your FOIA rights have been violated. Therefore, although the arresting officer and the police may not be happy about it, by law they must provide you with the opportunity to get your hands on public records associated with the incident in which you’re being charged. The majority of criminal reports dealing with traffic violations are made public. This means that the entirety of the police report, as well as witness statements ascertained by the police, and police car video footage are all covered under the Freedom of Information Act. When building your defense you can use these reports to illustrate the scene and prove your claim and innocence. However, the request process can be a little intimidating. Make your request. Unlike many government plans, the FOIA doesn’t require a written request for records. This means that you can request records by U.S. mail, fax, e-mail, in person, or over the phone. However, written requests are not only helpful in keeping your own paper trail, but can also speed things up on the other end as they have verifiable proof of the request. It also gives the department a clear statement of what records you are requesting, so that there are no misunderstandings. Provide identification. You must provide your name and legal address in your request. Specify the need for records. When making the request you need to be as specific as possible on what records, reports, and items you need. Otherwise, the department may be unable to locate them in a timely fashion. Stick to documents. Your request must ask for copiable records or documents. The FOIA gives you a right to inspect or copy public records. However, it does not allow you to request private information, opinion, or speculation about incidents or records. Cooperate with the department. If the department has questions about your request, try to be as understanding and cooperative as possible with the staff. Making a FOIA request should not turn into a fight, nor should it be combative. Although questions do periodically arise about requests, it does not mean that anyone is trying to deny you your rights. Try to stay calm, and if you seem to have persistent issues obtaining the requested records, contact an experienced lawyer to get the ball rolling. You can also fill out our contact form, or call us directly at 703-865-6610 to get the help you need to secure evidence for your defense. Darwyn Easley will not only facilitate a quick and smooth transfer, but with his experience he can also make sure that all needed documents are ascertained and accounted for. Don’t waste time on unnecessary correspondence and potential miscommunication. Let Easley secure your documents, your defense, and your future. Call now! Are There Any Possible Defenses to a Hit and Run Accident? What questions do police have the right to ask when they pull me over for a traffic violation? If you’re lucky, you’ve never experienced the anxiety of being pulled over by a policeman. Regrettably, if you’re reading this, you’re most likely aware of this feeling. Every day, thousands of drivers across the United States are pulled over for traffic violations and misunderstandings. Although many of them are guilty of some sort of infraction—countless others are dragged, coerced, or confused into accepting guilt without having done anything wrong. Every driver, no matter how he drives, is guaranteed specific rights by the U.S. Constitution. The Fourth Amendment guarantees that drivers (and passengers) are protected against unreasonable searches and seizures by the police, while also protecting their right to privacy. This means that officers are limited in what they can do and say to a “suspect” once they have pulled him over. However, many drivers are unaware of these limitations and proceed to incriminate themselves by answering questions that the police do not have the right to ask. It is important for your future to not only follow the rules of the road, but to also know how to avoid self-incrimination or miscommunication by knowing what officers can and can’t ask of you. Ascertain identity and ask for proof of identification. Verify legal ability to drive (ask for a license). Question whether the driver has the right to drive the vehicle that he is in. Request proof of insurance (ask for vehicle registration). Why he pulled you over. ...or anything else. You should politely refuse to answer, stating that you’re uncomfortable with the question. Although police are limited to the types of questions they can ask, and you have the right to refuse to answer unlawful questions, you still have a responsibility to be cooperative and polite. Otherwise, disregard for etiquette could create an excuse for the officer to fine, arrest, or charge you with a variety of violations. This disregard can then be used to lawfully instill a reason for interrogations and searches. Don’t give them what they need to bypass their limitations—stay calm and polite, but also assertive when it comes to answering questions that you’re not comfortable with. 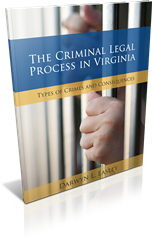 If you believe you or a loved one was unlawfully questioned or coerced into answering unlawful questions which led to his arrest, contact us today at 703-865-6610 to set up an appointment and to see how Easley can help secure justice for you and your family.